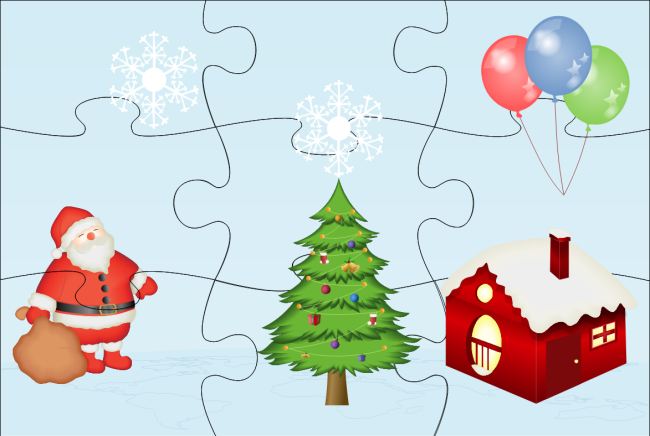 Design puzzle games with ready-made editable puzzle pieces. 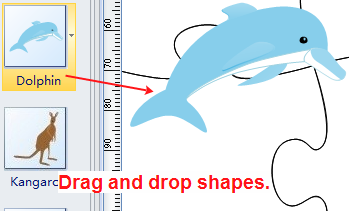 Drag and drop function makes the design process quite simple and easy. Want to design puzzle game on your own for your kids? Want to do it in a fast and easy way. Here is a simple yet effective solution - Edraw. 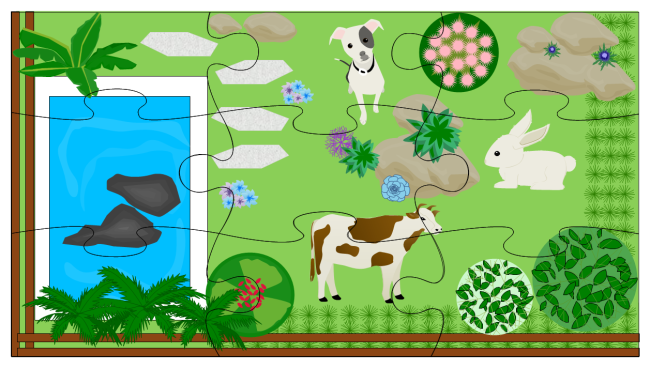 You can take advantage of our diagram software with pre-drawn puzzle pieces. See how to draw a nice puzzle game with a few minutes. Open Edraw. Click the title of Clip Art and then double click the icon of Animals (or another type of clipart). 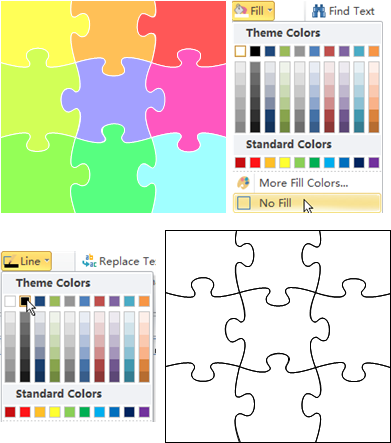 Find puzzle pieces in the Marketing Shapes library. Click the Libraries button, choose Clip Art from the dropdown menu and the click Marketing Shapes. You can open more libraries needed in this way. Drag Puzzle Whole onto the canvas. Change its fill into No Fill, set the line as black color and then enlarge it by dragging the green handles outwards. Insert a picture or design one scene by yourself. To save time, just drag and drop our predefined shapes to form a picture. 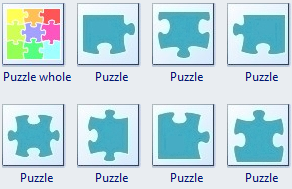 Edraw offers some predefined puzzle pieces shapes. Users can combine them to form puzzle diagrams freely. The puzzle pieces can be rotated and resized easily. See more details through this link. Here are 2 well-designed puzzle game examples for your reference. Just downloan and print them for free. Cut the picture into pieces and enjoy the puzzle game with your kids together.